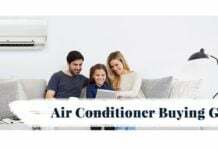 As the summer has already started in many parts of India, Korean tech giant Samsung, which is the country’s largest consumer electronics and mobile phone brand, has announced a new line-up of Air Conditioners. The new ACs from Samsung will come with Triple Inverter Technology and have been designed carefully keeping in mind the consumers’ needs and expectations. Samsung has focused on faster cooling, less electricity consumption, and uncompromised cooling even in hot summers of up to 54° Celsius. 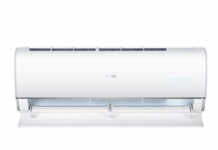 The new lineup of ACs comes with a Convertible Mode that lets a consumer change the cooling capacity basis the number of people present in the room. 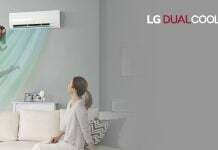 The Triple Inverter Technology (please note that Triple Inverter here is just a marketing term being used by Samsung to take on Dual-Inverter of LG. 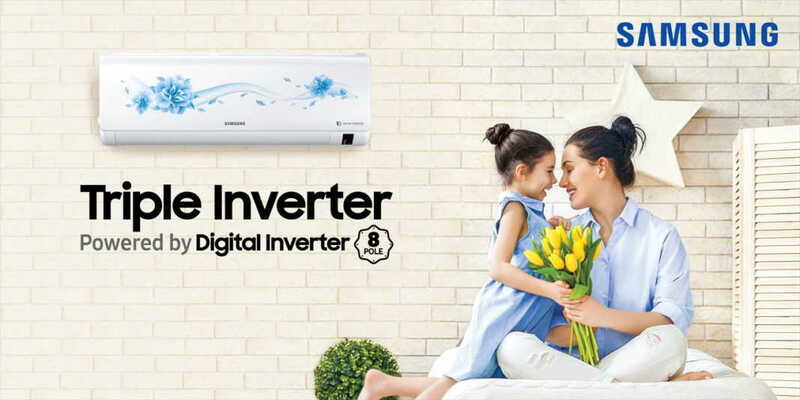 It’s not actually Triple Inverter up to my knowledge unless Samsung clarifies how they’re claiming it to be Triple Inverter) being used in the new lineup of ACs is powered by Advanced Digital Inverter 8-Pole Motor, ensuring more energy efficiency cutting down electricity bills. The Power Boost technology in the new series produces fewer torque fluctuations, ensuring effective and efficient operation with less vibration and noise, while the Anti-Corrosion Durafin condensers, supported by Multi Jet+ Technology ensures faster cooling, reduces condenser leakage and offers the best in class durability to the consumers. The Convertible Mode is something that is very unique in the new lineup of ACs from Samsung. When activated, it lets users save more energy when they are sitting alone in a room. 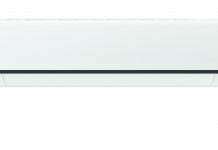 Convertible mode uses less compressor capacity and thus, further minimizes power consumption. With the Convertible Mode consumers can save more energy as it can adjust cooling capacity as per the number of users inside a room i.e. a 2T AC can be converted to 1.5T, 1.5T can be converted to 1T and similarly, a 1T AC can be converted to 0.8T using this feature. The new lineup comes with with a modern design and Samsung has also introduced a new variant with floral pattern- Camellia, as part of the 2019 AC series. The new lineup starts at Rs. 45,400 and the price goes up to Rs. 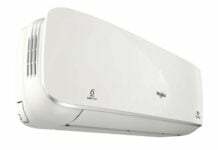 75,000, depending upon models and capacities that are rated between 3-Stars and 5-Stars, in terms of efficiency. Consumers can also avail up to 10% cashback on all Triple Inverter models with Axis Bank, Citi Bank, ICICI Bank, and HDFC Bank, till 31st March 2019. 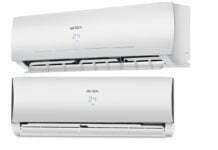 Samsung is also offering free installation on Windfree and 5-Star Inverter ACs and for 3-Star rated models, the charge is minimal at just Rs. 499. There are other exciting offers and benefits like zero down payment and long tenure EMIs. 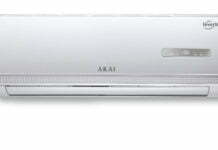 The new lineup of Samsung Triple Inverter ACs also come with extended warranty where Samsung is providing 10 years warranty on compressor, 5 years warranty on Durafin condenser and newly introduced 2 years warranty on PCB Controller on both Indoor and Outdoor units. Whirlpool 3D Cool Purafresh Inverter Air Conditioner (with In-Built Air Purifier) Review – The Next Gen All-Rounder!